Say NO! 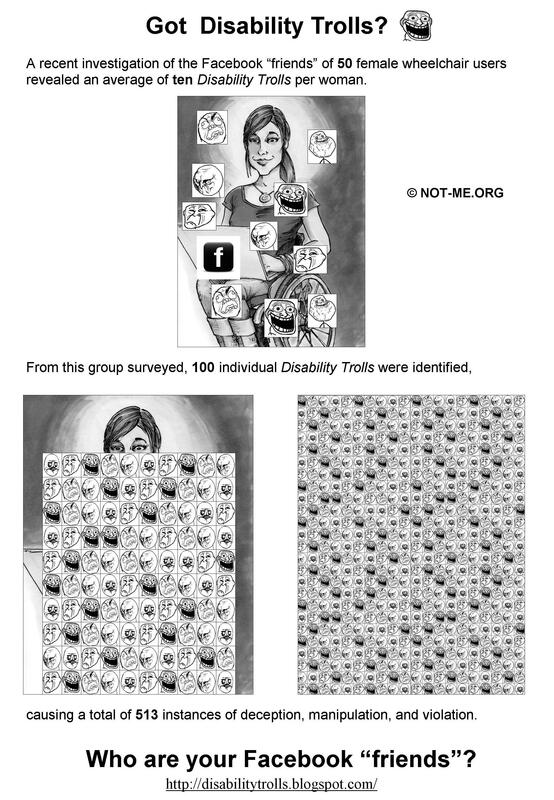 to Facebook Predators: Disability Trolls: What can be done about the Trolls? 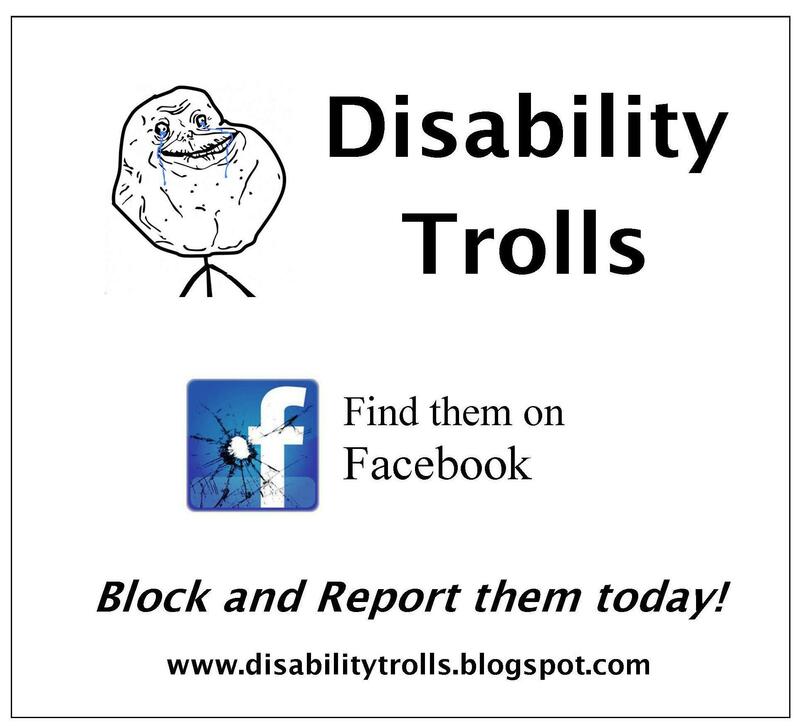 What can be done about the Trolls? 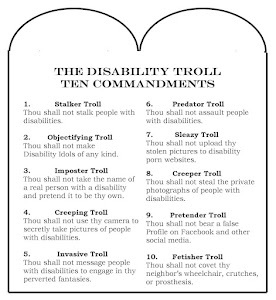 Fortunately, when it comes to Disability Trolls such as Wheelchair Pretenders, just being aware of them makes it much harder for them to take advantage of you. 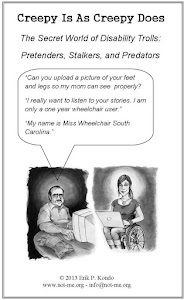 Wheelchair Pretenders rely on being able to deceive their victims. They get around their victims natural defenses by pretending to “be safe” by having a disability. For example, a young woman with a disability will naturally be suspicious of a middle aged able-bodied man. Regardless of whether she meets him on the Internet or in person, she will have her defenses up. She will be unlikely to “friend” him on Facebook without personally knowing him. But that same woman may “befriend” a woman with an apparent disability without making a thorough background check. Unless she suspects that the “woman” may actually be a man. In that instance, she is more likely to have her “defenses up” and will be less vulnerable to being victimized. 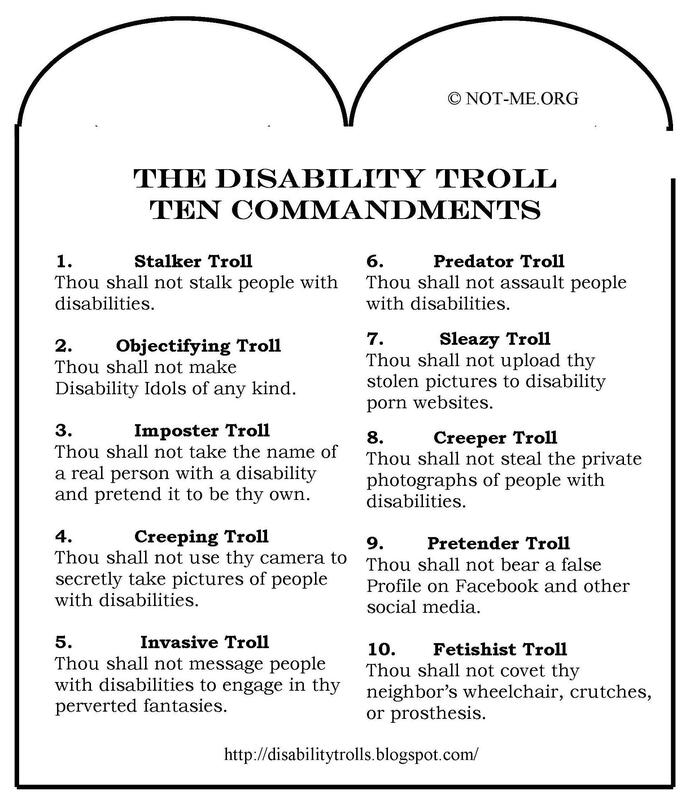 Therefore, the best method to fight the Disability Trolls is to educate yourself and others on their existence. This awareness and education is what is website is all about. 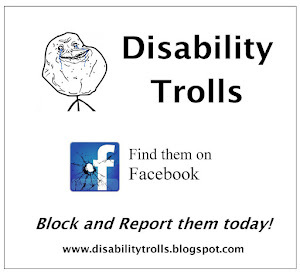 By having known and suspected Trolls in your Facebook Friend List, you are exposing other PWD to the Troll Virus. 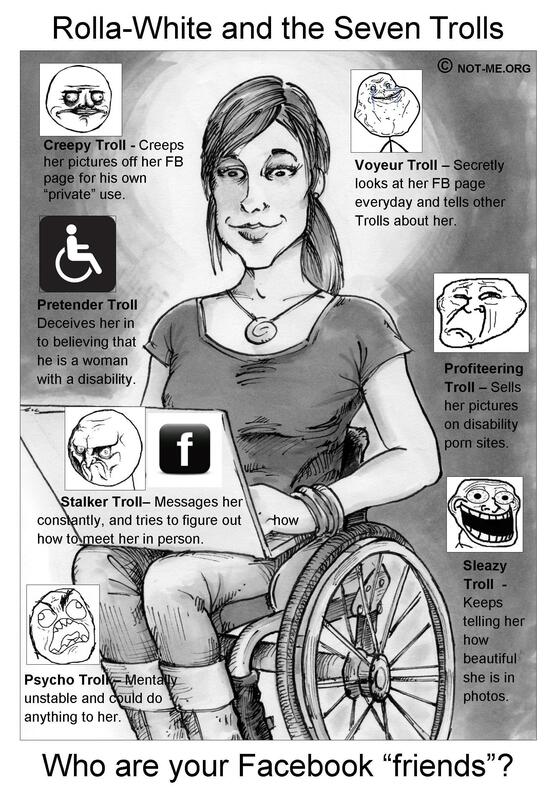 In addition, the fact that you have "friended" them has the effect of providing social proof to other PWDs of the Trolls legitimacy. 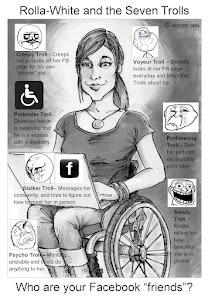 Basically, other PWDs accept a Troll offer of "friendship" since the Troll has lots of existing PWD "friends". The most effective means to stop the Troll Virus is to systemically BLOCK known and suspected Trolls on your Friend list.